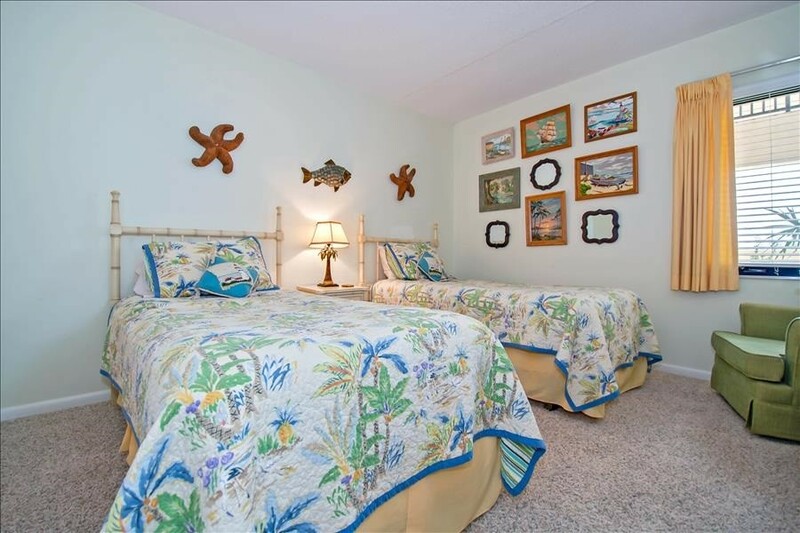 Greet each morning by collecting shells on your own gorgeous island beach. 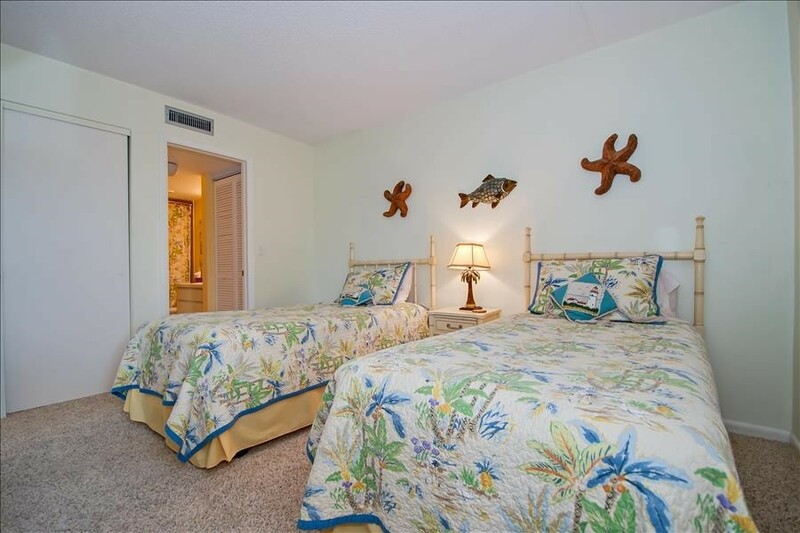 In the evening, you can gaze over lush gardens to the Gulf of Mexico as you toast the sunset. 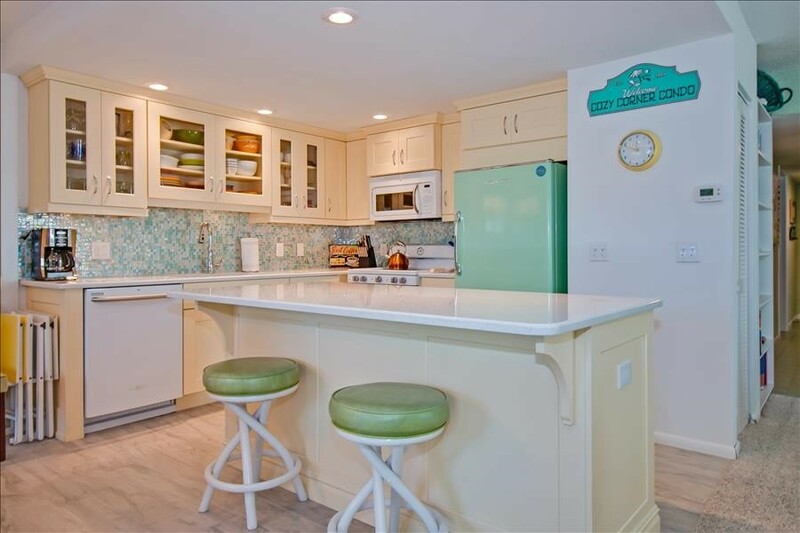 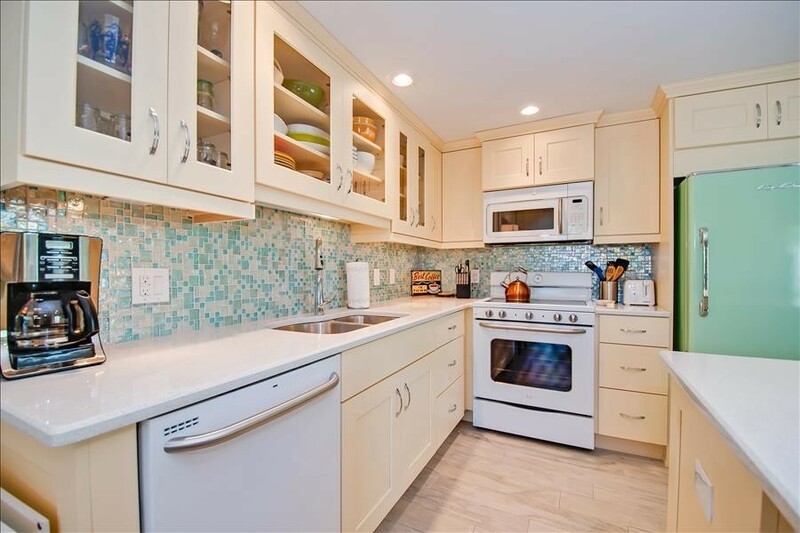 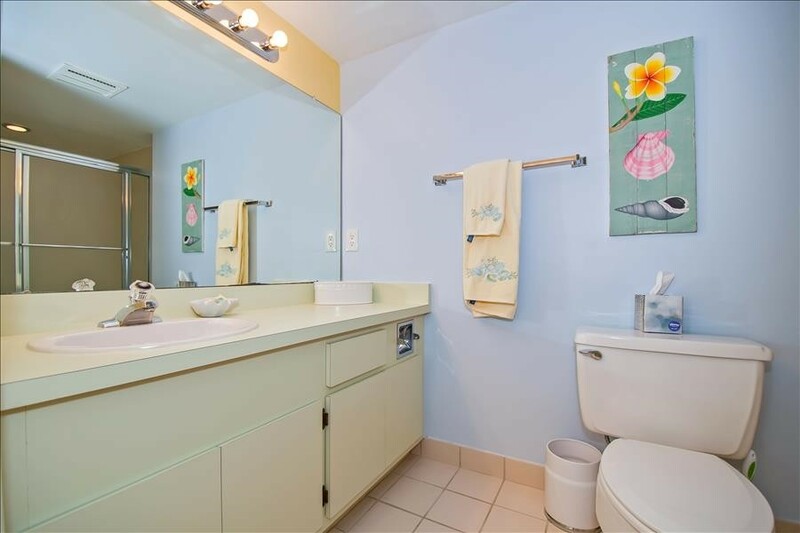 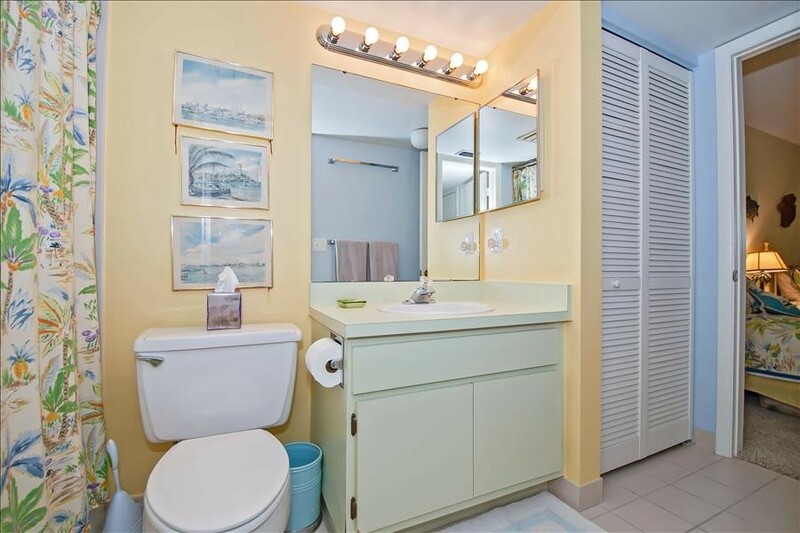 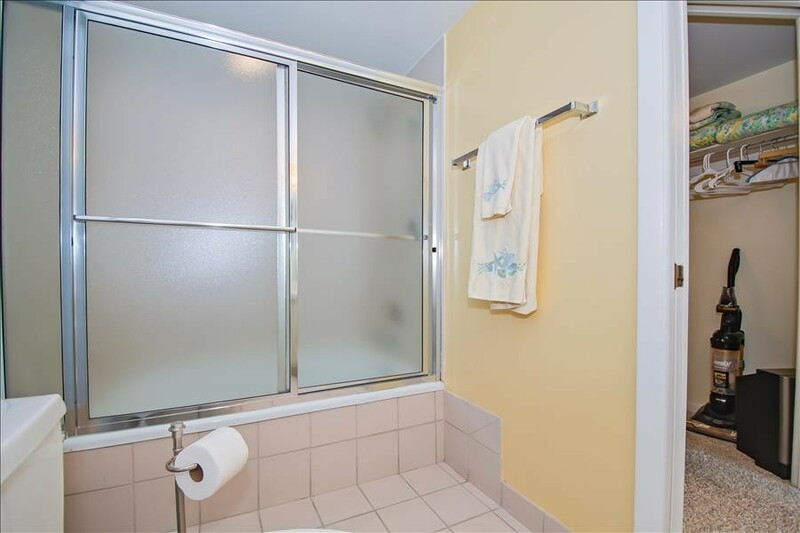 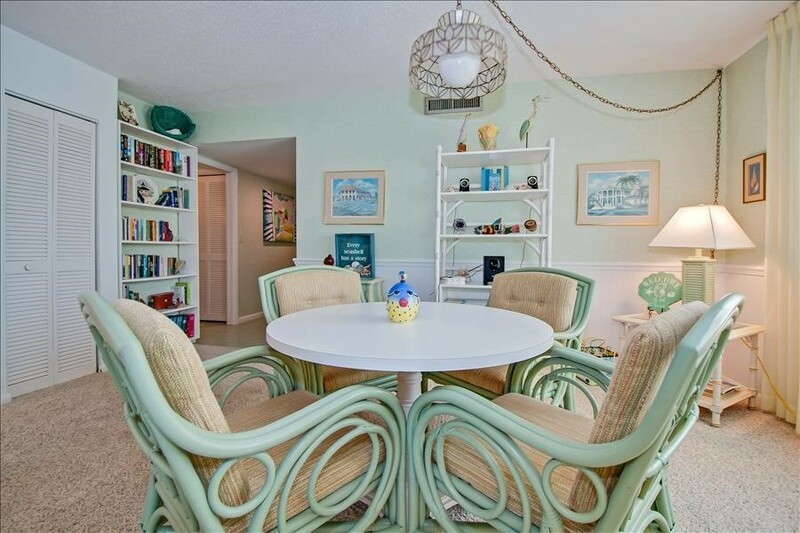 This charming, smoke-free, quiet end unit has new appliances, big screen HD TV, DVD, stereo with iPod port, Wi-Fi, washer/dryer, AC, and a large diverse library, including many reference books for identifying shells and birdlife. 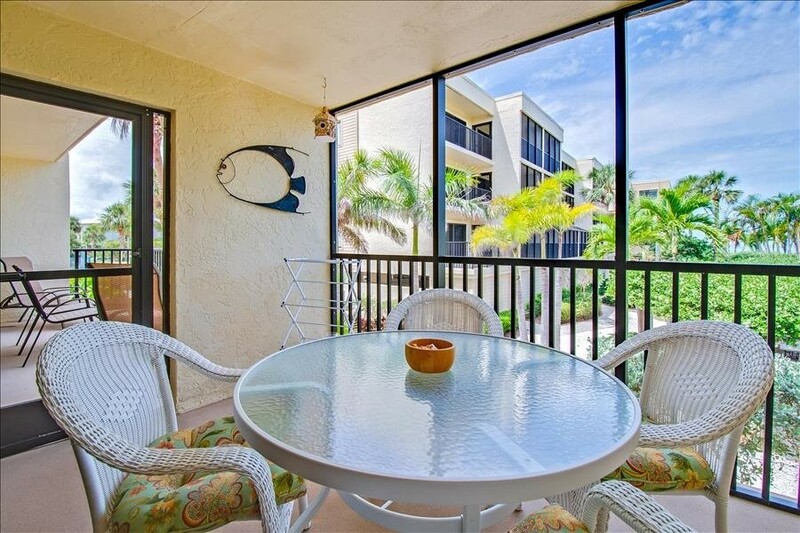 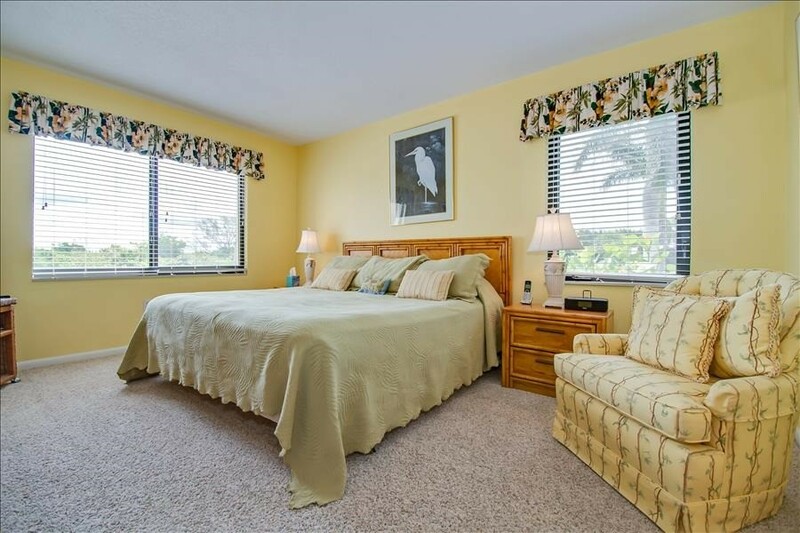 Your accommodations feature a screened-in porch with lovely, new faux wicker table and chairs. 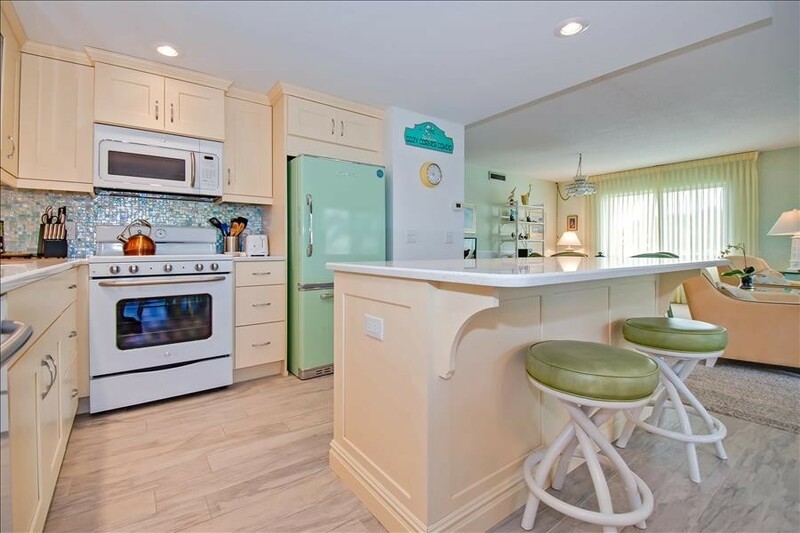 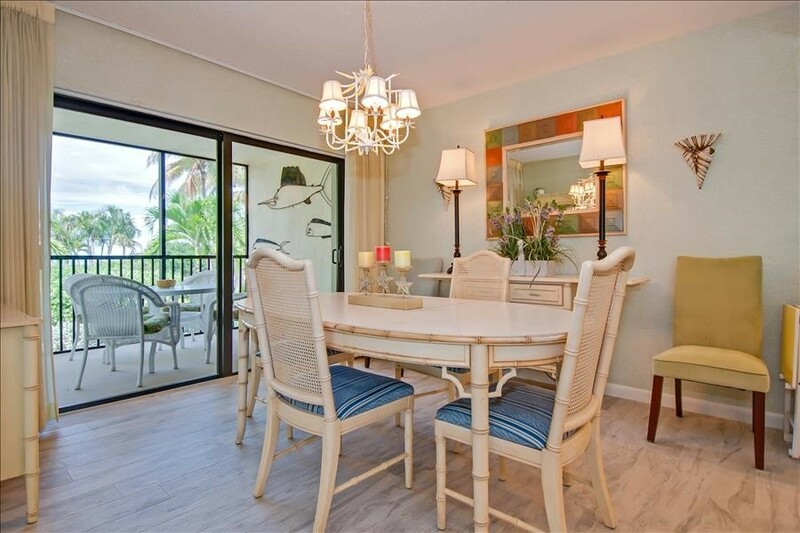 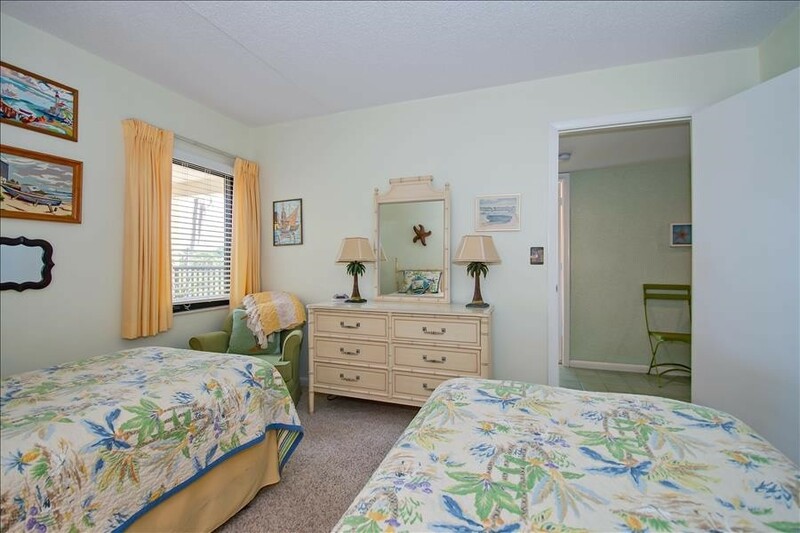 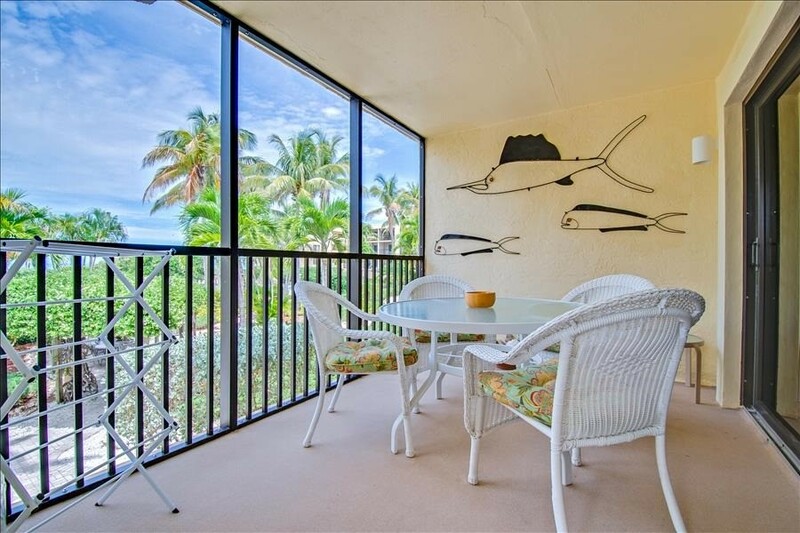 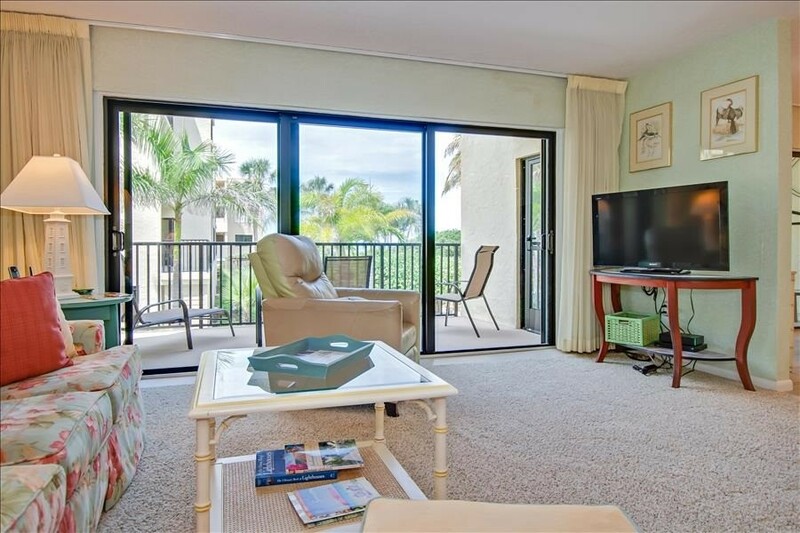 Adjacent to this lanai is an open sun deck. 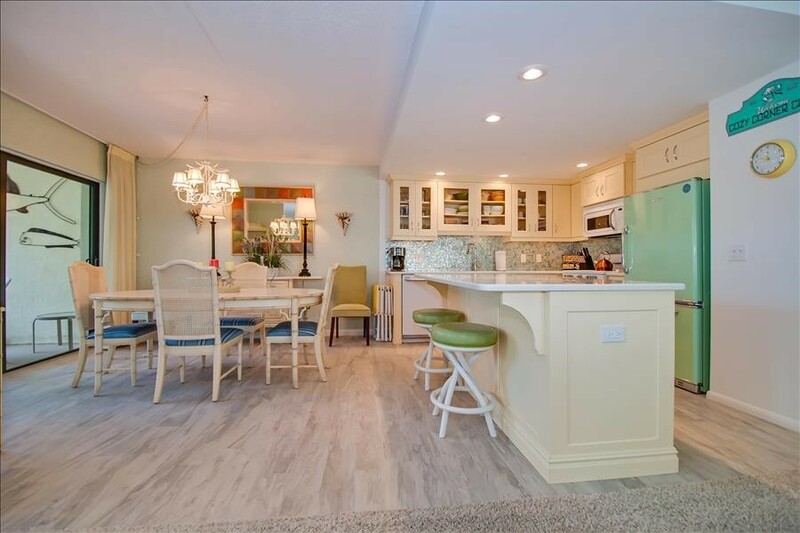 Your kitchen and dining room contain everything you'll need, whether your menu is wine and pizza, or a five-course dinner. 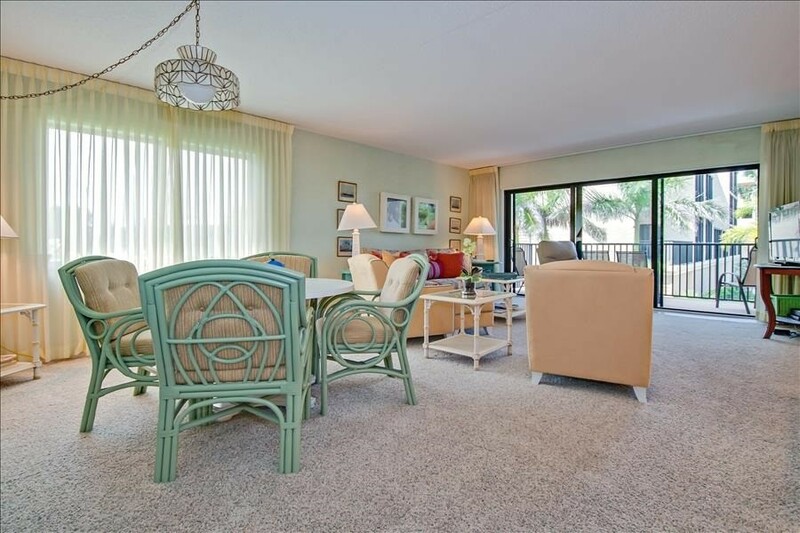 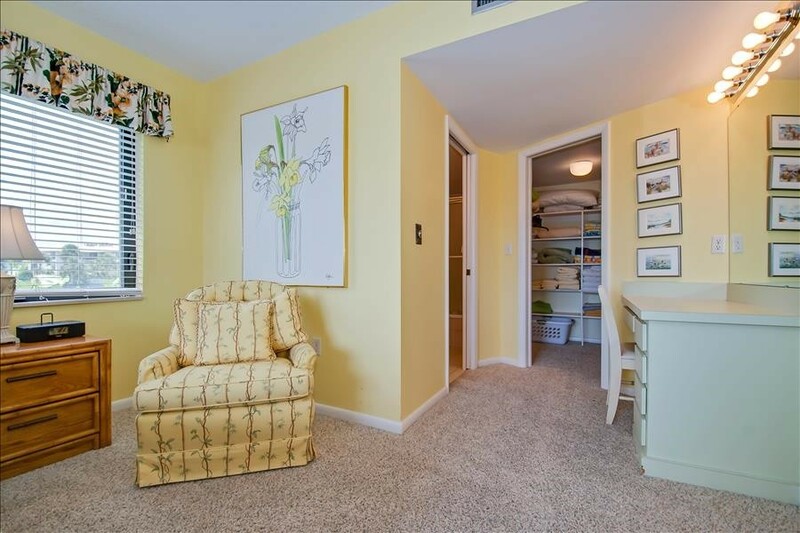 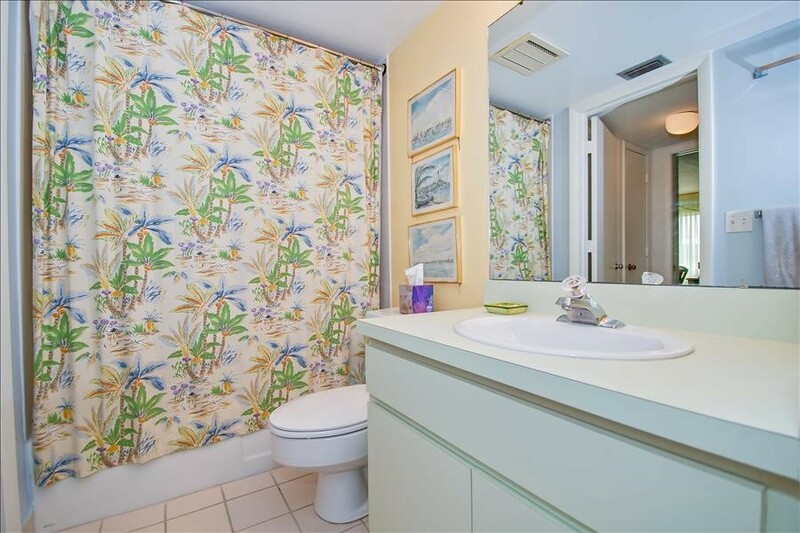 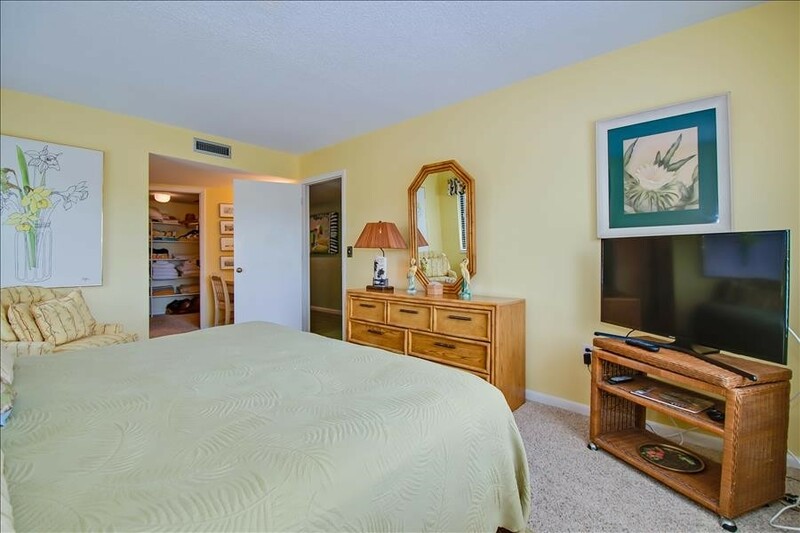 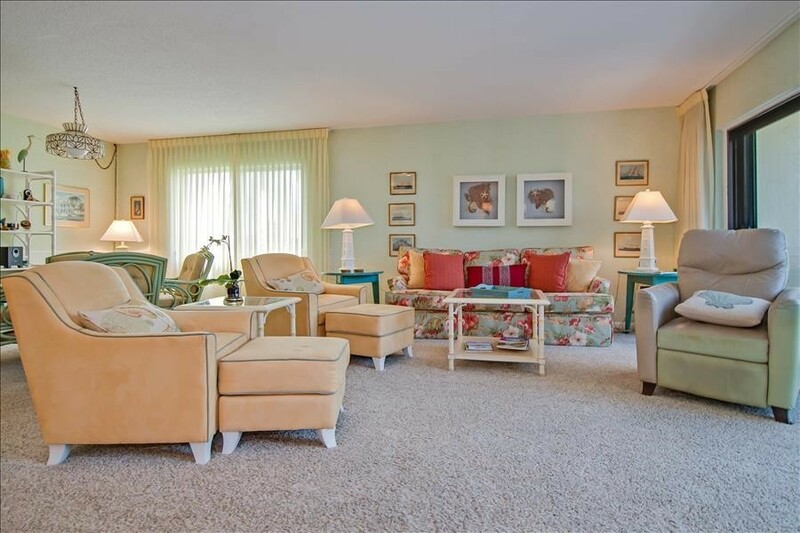 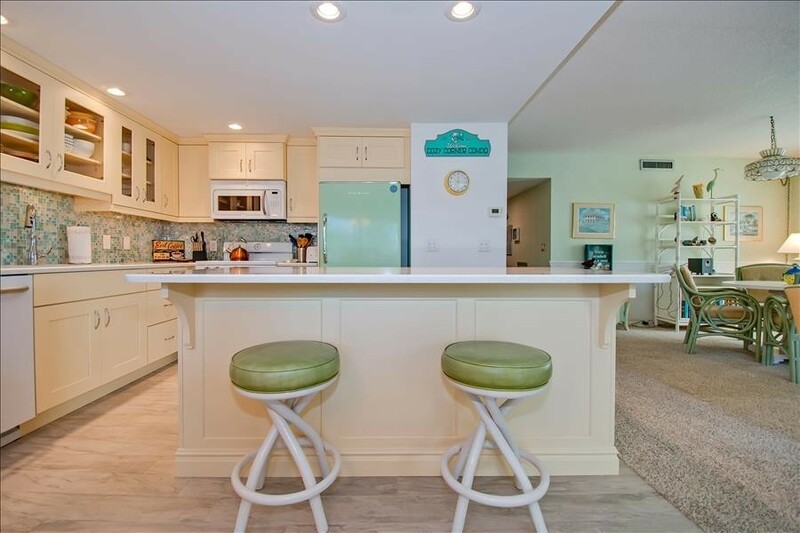 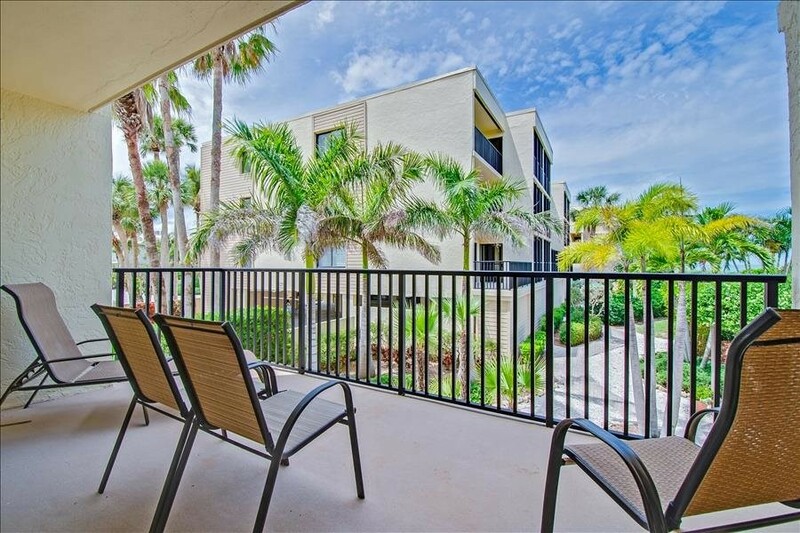 Sea Oats Condos feature a garden and courtyard with pool, hot tub, grills, chaise lounges, and two tennis courts right out your door. 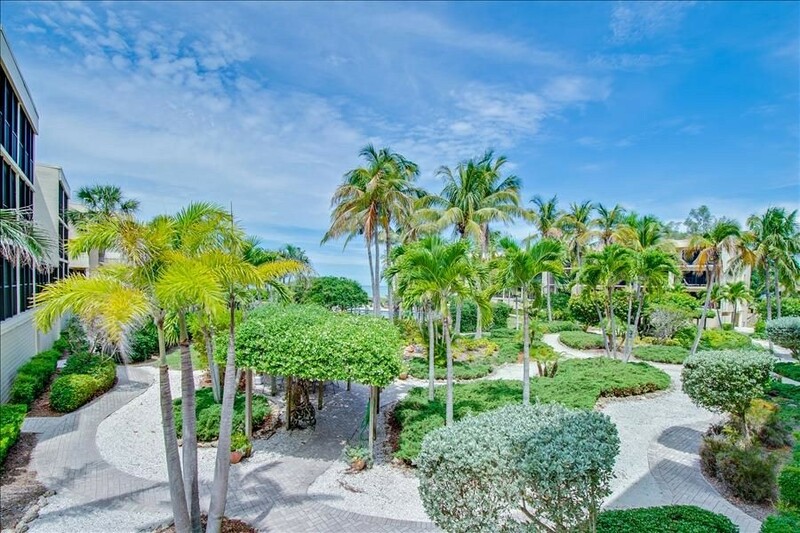 Yes, you can leave your problems on the shore when you cross over the bridge to your island paradise! 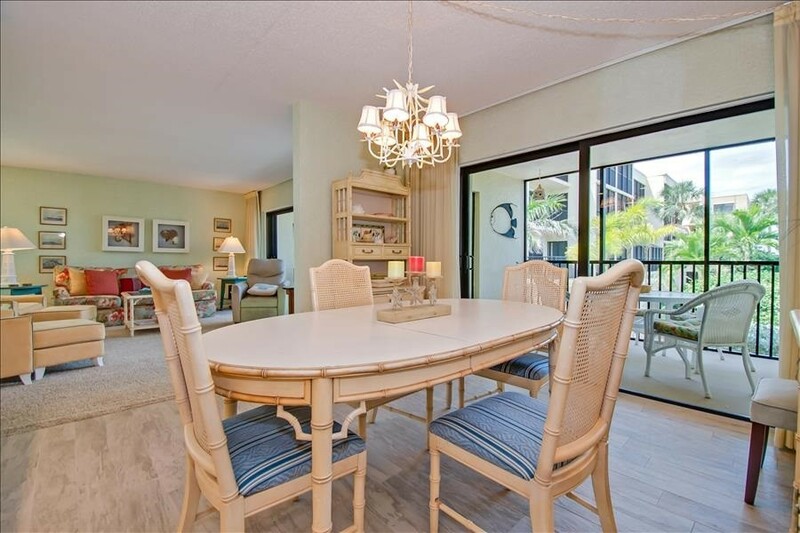 Please contact me with information regarding SEA OATS 131.